At the risk of trafficking in tired cliches, Martian Successor Nadesico has quite literally something for everyone: Cute girls (and let's be honest, guys too), humor, action, drama, and an intelligent storyline. Plus mecha, of course, and lots of them. What more could you possibly want? It's probably not the greatest place to begin if you're new to anime, given the sheer number of references to other anime series and jokes about otaku culture; but honestly, most of these are so oblique that they'll pass unnoticed, particularly the talent competition near the end of the series, which is a parody of Macross (I didn't catch that one myself, having never seen Macross, or Robotech as it was called in the States). All of this isn't to say that Martian Successor Nadesico doesn't have its flaws. Every so often the plot seems a little confused about whether it wants to be funny or dramatic; it's not so bad as to make the show unwatchable, but it's definitely jarring when it does happen. I also got the distinct impression that the writers didn't know how to wrap everything up in the final episode; as a result, the story stops dead and many loose ends go untied, particularly the meaning of the metal plate that a certain character drops near the end. (Ruri passes a comment about the unresolved plot points during her end-of-episode narration, so it's possible this was done deliberately. Or maybe it's just a cop-out and they really didn't know how to end things. I'm gonna have to lean toward the latter on this one.) But overall, I'd say that this is one series that every otaku needs to see at least once. As is my wont, I watched each episode in English, then again in Japanese with subtitles, and I highly recommend this technique to get the full effect. You'll get to hear Spike Spencer's spot-on performance as Akito and Kira Vincent-Davis' perfect deadpan as Ruri, plus you'll get to hear all the jokes as they were intended in the original Japanese. (As much as possible, at least, because I'm quite sure that most of Mizumi's puns would be indecipherable to an English-speaking viewer if translated literally.) Because, you know, that's what real otaku do. Or so I'm told. Fans of Robotech or even Starblazers might look at this collection and wonder if they should buy it. Do it. But be warned, it is also like Love Hina, Tenchi Muyo and the Excel Saga. 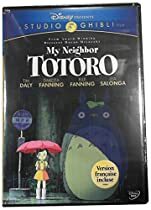 Love between characters, war between almost everybody and humor, some of it even picking on anime, makes the 650 minutes worth any price. Plus tons of extras and WAY too many trailers. The story is simple, at first. The Jovians launch a attack against Mars, destroying mankind's outposts and blasting the United Earth Forces right out of space. Mankind fights to defend the Earth and what they still control of the Earth's Moon, but the Jovians have a huge advantage in military technology. The Nergal Corporation builts a super weapon in the form of Nadesico, crewed by wackos, misfits, anime fans and everybody who has the skills needed to run the ship. They plan to rerun to Mars, to liberate it. Then things get complex. The Jovians MAY be on the RIGHT side, the Nergal Corporation is not interested in librating anybody and the Earth government seems to be trying to hide something. The characters, from the super-intelligent Ruri Hoshino to the brilliant, if somewhat unbalanced, Commander Yurika, all have funny AND serious sides to their nature. The series asks tons of questions, about right and wrong, love and friendship, peace and war. Even after 26 episodes, not everything is answered, but it does give you a lot to chew on. And laugh about. This is a series that really hits home for me. I took to watching Anime in junior high Martian Successor Nadesico was one of the series that really solidified my love for Anime. The story centers around the main character Akito, a member of a Martian colony that, be a random set of events, ends up a crew member on the space ship Nadesico (captained by his childhood friend of course). As the story progress we watch the ship get turned upside down as the crew continues its daily life (forming love triangles, battling aliens, dealing with near death situations...you know, that kind of everyday stuff). For those of your that are into more modern Anime this may not be your cup of tea. For those of you that remember shows like Rouroni Kenshin, Outlaw Star, and Trigun, then you'll feel right at home with the style of animation and voice acting that seems to have been lost in recent years. 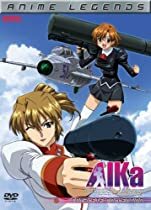 Without giving too much of the story away, Akito and his childhood friend Yurika team up to fight the Jovian lizards only to find out that things are never so simple (what with the plot twists and all) and end up making the story twist and turn and end up one of those shows you'll never forget. 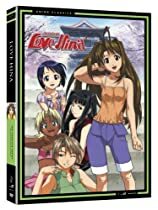 I said before I started watching Anime in junior high and this was one of the shows that really got me hooked, though sadly I never got to finish it (ironic considering Akito did the same thing with Gekigangar), though I have finally added to my collection (almost some 10 years later) and I couldn't be happier because yeah, its just that good.